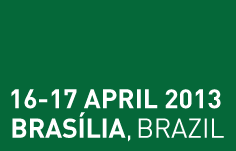 Don’t miss your opportunity to participate in POST-EXPO Latin America 2013. Let us know whether you want to be kept informed by emails and mailings, or whether you would like to secure a delegate place at the conference, register to visit the exhibition or request more information. Please note: If you are an exhibitor at the event please do not register here – you will be sent separate registration details by the exhibition department.